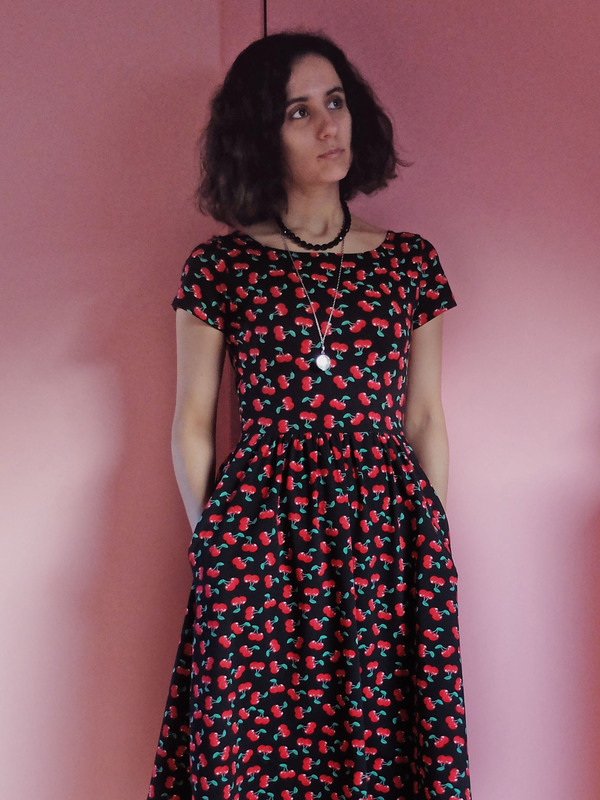 Hello, lovely Cherry Lady! I love your dress! I had to do the same with my Moneta- shorten the bodice and gather the old way- for a good result. 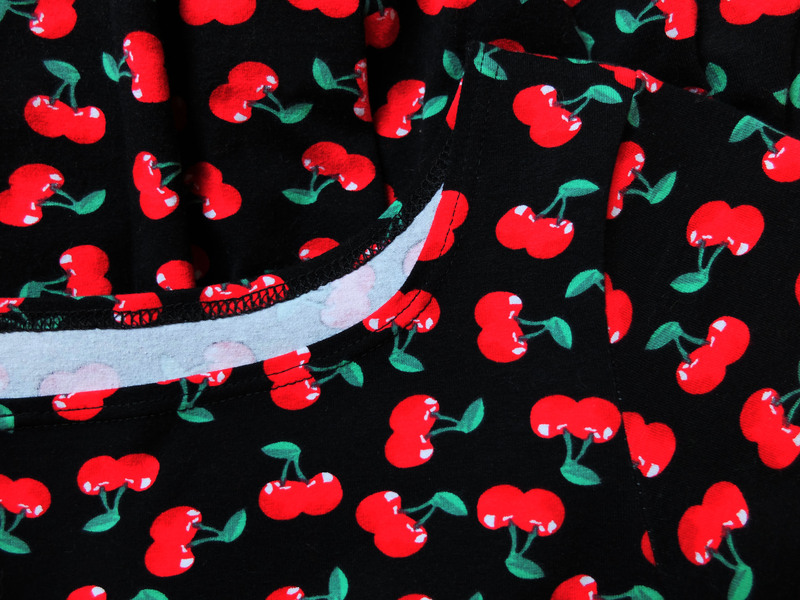 I think cherries suit you very well! Lovely! 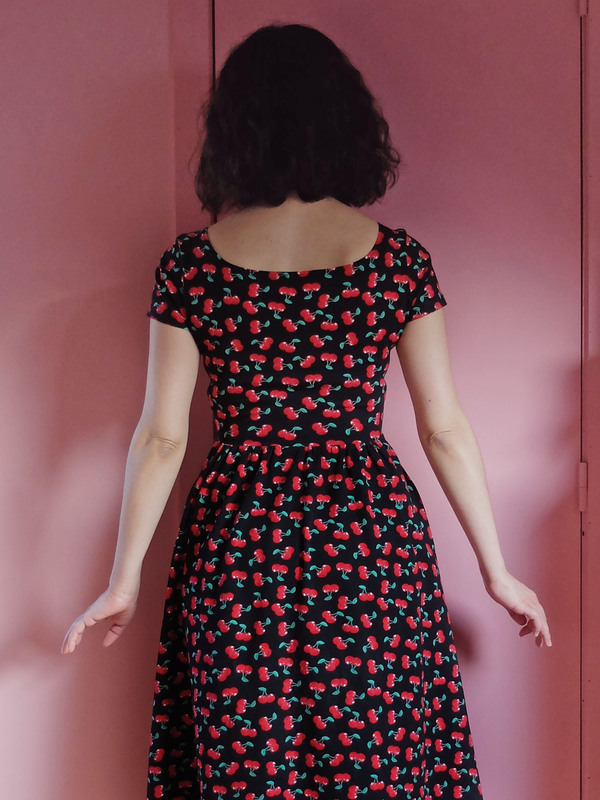 I love cherry prints and don’t think one can be too much into cherries. There’re only people not liking colorful prints enough. 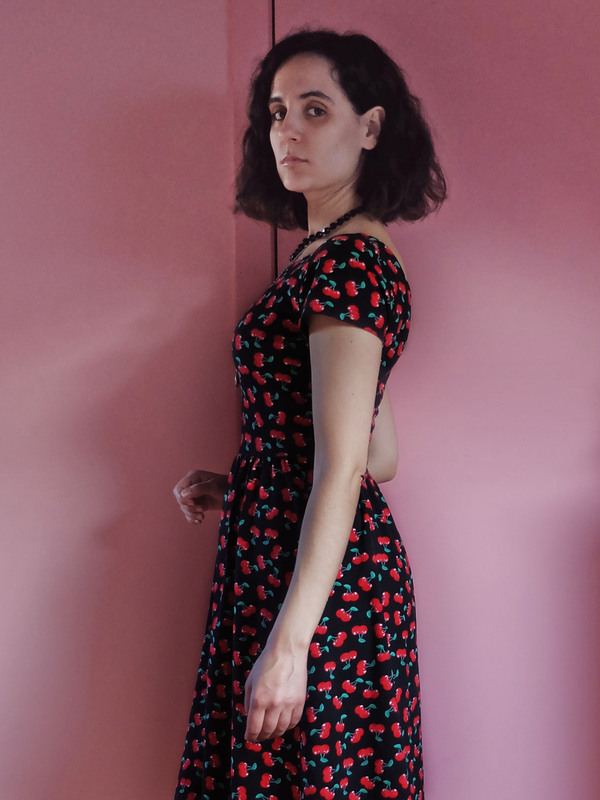 I think this Moneta is in my top 3 I’ve seen until now, it would almost bring me to buy the pattern… but I’m still reluctant to buy a pattern for knits, as most of the time, I end up messing up the garnment when I do have a pattern and ending with a great result when I try without it. Good job anyway, and I’m looking forward to the next cherry prints!